Here's some helpful information that is ideal for entrepreneurial folks who plan on opening an awning and canopy cleaning and repair business. This is a must-read before you start! Thinking about opening an awning and canopy cleaning and repair business? We tell you what you need to know to get started. Awnings and canopies aren't simply structural components of building facades. For small businesses, awnings and canopies are powerful advertising tools, particularly when they have been customized to include the business name, logo and other information. New awning and canopy cleaning and repair entrepreneurs need to maintain a focus on the promotional aspects of their customers' storefronts. Your marketing messages and contacts with prospective customers should focus on the fact that awnings and canopies are signage -- tattered awnings and faded canopies have a quantitative impact on your customers' bottom lines, making it easier for you to pitch ROI for your services. One of the unique things about an awning and canopy repair startup is that it's easy to spot potential customers. A short drive through your community will yield a list of business owners in dire need of awning and canopy services. The trick is to translate the obvious need for your services into an actual service contract. To do that, you'll need an effective sales presentation. Your presentation doesn't have to be long, but it does need to identify the business owner's need and offer an easy solution to his problem. Enthusiasm and knowledge are key ingredients in successful sales pitches. If the business owner needs time to think about it, don't leave the premises without leaving your company's materials and making arrangements to touch base again in the very near future. Business owners are used to hearing pitches from service providers who make big promises but fail to deliver. So the best way to get your foot in the door with new awning repair customers is to provide examples of other awnings and canopies you have serviced in the local community. For starters, you'll want to carry around a portfolio of before and after photos of canopies and awnings you've worked on locally. Your portfolio should also be included on your company website, but having printed copies of these photos in a brochure or marketing folder is helpful for face-to-face selling. As a matter of convenience, provide prospects with the contact information of satisfied customers and encourage them to call past customers for referrals. This communicates that you're proud of your work and empowers prospects to verify your claims through a third-party source. But here's the good news: With a few tips, any entrepreneur can create a successful plan for their business. If you can get past the mystique, you'll see that a business plan just describes where your awning and canopy cleaning and repair business is headed and how you intend to get there. Long before you open an awning and canopy cleaning and repair business in your town, it's a good idea to determine what the competition looks like. We've provided the link below to help you generate a list of competitors in your city. After clicking on the link, type in your city, state and zip code to get a list of awning and canopy cleaning and repair businesses near you. Once you've finished assessing the competion, you really ought to talk to somebody who is already in the business. If you think owners of nearby awning and canopy cleaning and repair businesses will give you advice, think again. Why would they want to educate a future competitor? However, a fellow entrepreneur who has started an awning and canopy cleaning and repair business in a different city may be willing to share their entrepreneurial wisdom with you, as long as they don't view you as a competitive threat. Many business owners are happy to give advice to new entrepreneurs It can take a while to find an entrepreneur who is willing to talk, but it's well worth the effort. Do you know how to find an awning and canopy cleaning and repair business entrepreneur in a different locale who can assist you? Many experts advise against starting an awning and canopy cleaning and repair business if you can buy an established operation. But as an awning and canopy cleaning and repair business buyer, you'll quickly discover that a business purchase isn't completely hassle-free. Although you could buy an awning and canopy cleaning and repair business on your own, you'll save time and money by recruiting a reputable broker with industry experience. The longer it takes you to get your business up and running, the greater your chance of business failure. Franchising may be the vehicle to make your ownership goals a reality. Even though franchising isn't right for every entrepreneur, many startup owners find that a franchise offers the resources and behind-the-scenes support they need to launch their business on solid footing. Our cleaning and maintenance franchise directory contains the information you need to evaluate awning and canopy cleaning and repair business franchises. Just click on the link for more details. Do you have questions or comments regarding starting an awning and canopy cleaning and repair business? Post your comments on this topic using our comment submission form below. Already Own an Awning & Canopy Cleaning & Repair Business? 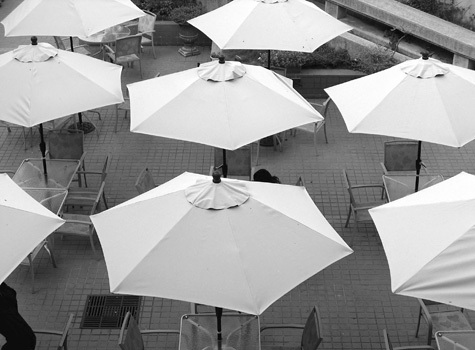 Are You Selling to Awning & Canopy Cleaning & Repair Businesses?